A campus chiller’s prime directive is to pump torrents of cool water, not to look good. 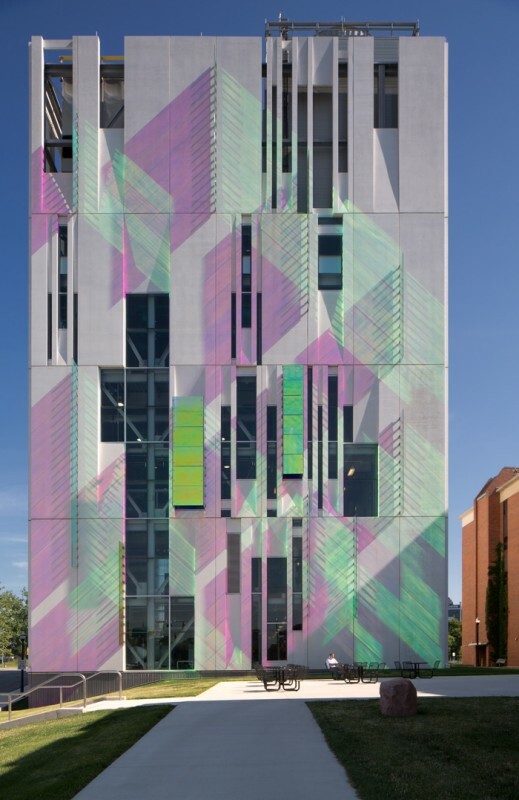 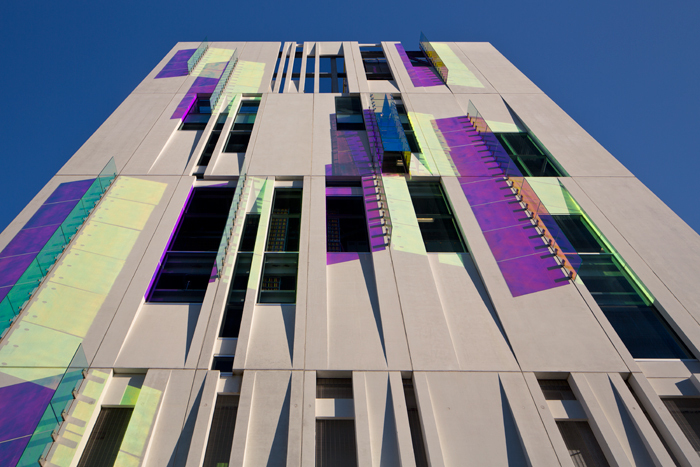 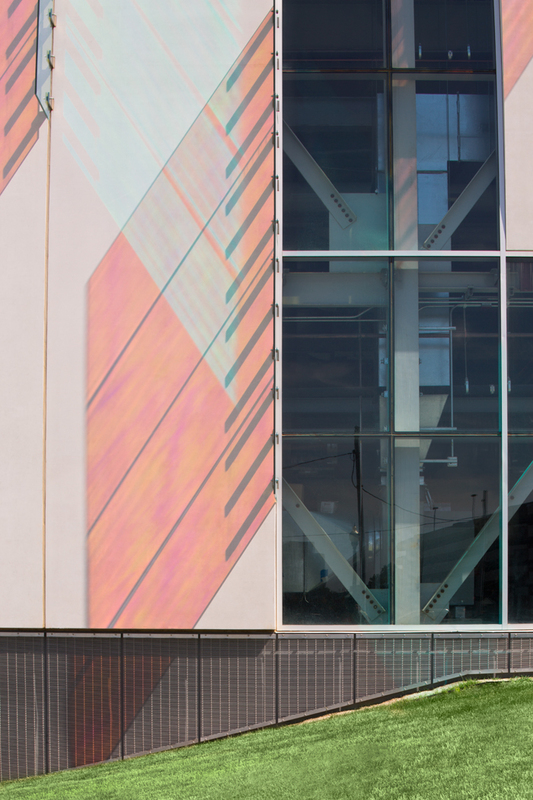 But thanks to an inventive skin of dichroic glass fins and high-sheen concrete panels from Ross Barney Architects, the Ohio State University’s south campus central chiller does both. 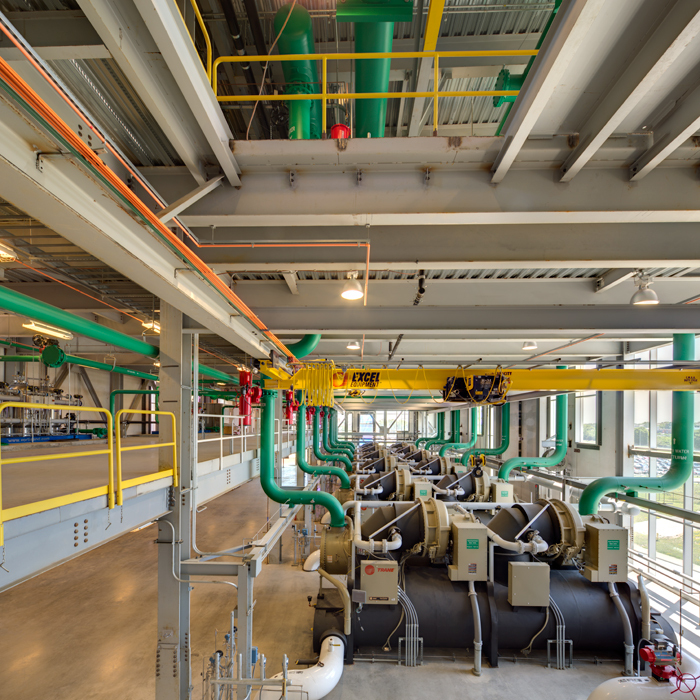 The 95,750-square-foot chiller plant is sprinkled with glazed openings that reveal some of its interior equipment. 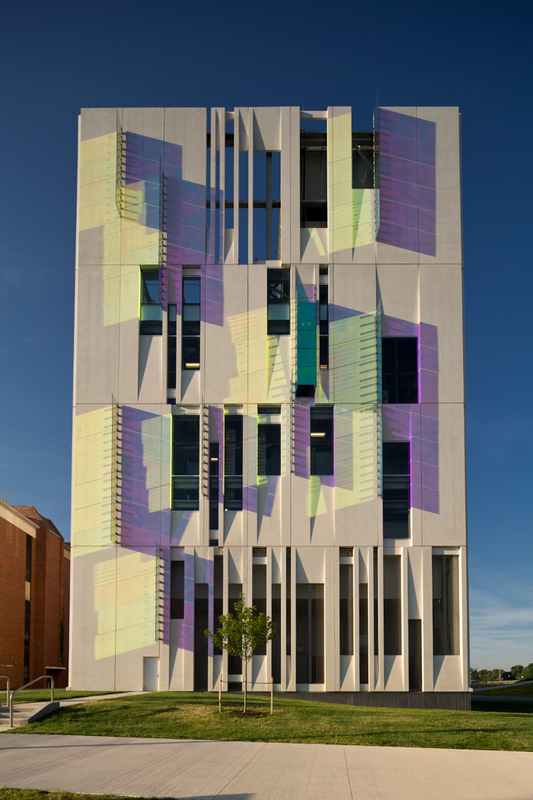 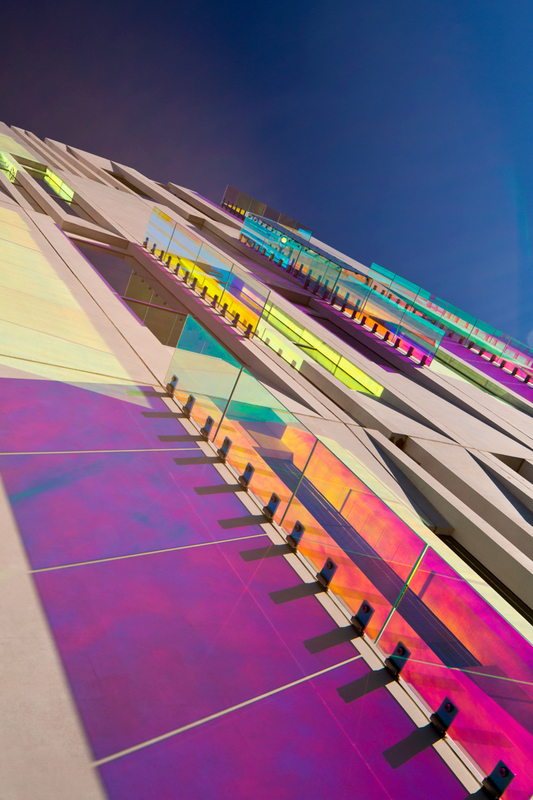 Because no moving parts are visible, a sense of motion plays out instead on the building’s iridescent glass fins. 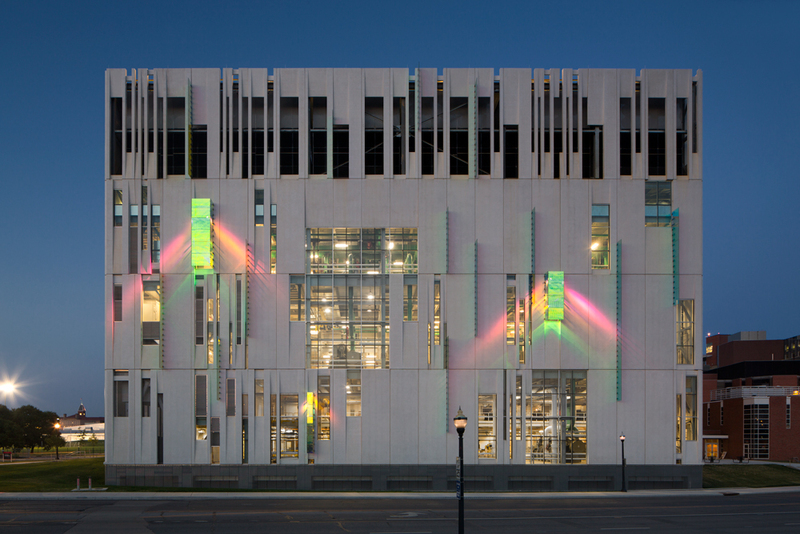 The recently completed project will pursue LEED certification.